What would it be like to be as a bird? Wouldn't this be great to do at Rio De Janiero? 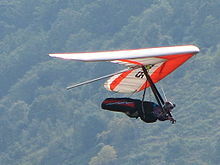 Hang Gliding would be incredible and exhilarating.